James Allen vs Blue Nile: Which Is Better? You want to buy an engagement ring online, but which online diamond store can really go the distance: Blue Nile or James Allen? Read on for a comparison of these 2 top online diamonds retailers. It used to be that the only place to buy high-quality jewelry was in a jewelry store. In recent years, however, it has become more mainstream to buy engagement rings and other fine jewelry online. In one corner, we have Blue Nile, an aggressive but tight fighter with a winning record when it comes to engagement rings. In the opposite corner, the heavyweight opponent James Allen is ready to come out swinging, with its second-to-none HD diamond images. In this comparison review, these two online diamond retailer giants go head-to-head. Read on to see which one is better for you. After the match begins, who shines brightest? There is a slight difference. Blue Nile only offers GIA (Gemological Institute of America) certified diamonds, while James Allen has GIA, AGS (American Gem Society), and IGI (International Gemological Institute) certified diamonds. GIA is typically seen as the standard in diamond certification. AGS is a respected alternative to GIA. But IGI is typically seen as more lax and not as reliable. We only recommend diamonds certified by GIA or AGS. When selecting a diamond, be careful to take notice of which lab the certificate came from. You can find high quality, certified, conflict free diamonds with both retailers. So you can't go wrong with either choice. Buying an engagement ring online sight unseen is scary. Which retailer inspires more confidence? James Allen is the king when it comes to an unparalleled online shopping experience. While you can't get actual hands-on time with the rock, it provides the next best thing — crystal-clear 360-degree HD videos for every diamond it sells. This "virtual viewing" can even be better than actually going into a store because you can zoom in and look for flaws from every angle. You can see the actual diamond you're purchasing. But Blue Nile is quickly catching up. It now also provides 360-degree video previews of most diamonds. But some are still sold only by the specs (cut, color, carat and clarity). James Allen still has an edge in this department. You can request up to 3 Idealscope images for free, which shows the light performance of the diamond. And if you create a free account, you can view up 5 diamonds with "super zoom," which lets you examine the diamond as if you're holding a jeweler's loupe. Both retailers offer a wide range of ring settings. James Allen offers over 600 setting choices, while Blue Nile has only about 400 settings. James Allen has more setting styles. If you're looking for something more specific, you may be able to find it at James Allen. Blue Nile lacks some more unique setting styles like tension and bezel. James Allen is also better for those looking for yellow gold or rose gold rings. Almost all of their 600+ settings can be made in white gold, yellow gold, rose gold, or platinum. But only a few of Blue Nile's settings are available in rose gold or yellow gold. Both sites have a selection of designer rings. Blue Nile has rings by Monica Lhuillier and Zac Posen, while James Allen has rings by Verragio, Danhov, Jeff Cooper, and Martin Flyer. Both sites allow you to design your own ring. Both offer a step-by-step guide. You can either first pick the setting or first pick the stone. Both will provide a final preview of completed design. However, both sites have their kinks. Sometimes, Blue's final 360-degree preview won't show the correct diamond shape you picked. Or if you order a "special" setting, you can't see a preview at all and have to call a customer service rep to complete your purchase. James Allen makes designing your own ring slightly more user-friendly than Blue Nile. However some settings won't have a preview with your chosen shape. And sometimes you won't see the preview if you choose a different metal color. But both sites do their best to give you a preview of your final design before you commit. If you're not sure how to start designing a ring, read our detailed guide on the process of buying an engagement ring. Fine jewelry: In addition to engagement rings, both also have necklaces, earrings and bracelets. Blue Nile has a much bigger selection at different budget points. Build your own: Both allow you to build your own diamond earrings or pendant by selecting your own loose diamonds. Gemstone jewelry: James Allen wins in this. It has a large selection of loose gemstones (emerald, ruby, and blue, pink, and yellow sapphire) that you can set into any setting. Blue Nile only offers preset gemstone rings. Pearl jewelry: Blue Nile offers pearl earrings, necklaces, and bracelets (freshwater, Akoya, and Tahitian). James Allen recently introduced pearls to their site, so it's not quite as large of a selection yet. Budget jewelry: If you're on a tight budget, Blue Nile has a nice selection of fine jewelry under $100, which includes pearl, gemstone, and precious metal jewelry in sterling silver and 14k gold. No question, both online retailers offer great pricing compared to brick-and-mortar jewelry stores. In most instances, both sites offer very similar pricing for diamonds of the same characteristics. But sometimes, James Allen's pricing is lower than Blue Nile's for a comparable diamond. For example, we searched for a 1-carat, Princess-cut diamond on both sites. We used Clarity: VS1, Color: G, and Cut: Very Good. With these specs, Blue Nile's diamonds started at around $4,500. On James Allen, comparable stones were priced between $500 and $700 less. Both retailers offer a Diamond Price Match Guarantee. If you find a comparable diamond elsewhere for less, both Blue Nile and James Allen will match the price. But there are pretty strict guidelines. The competitor diamond must have the exact same characteristics (carat, cut, color, clarity, fluorescence, table & depth percentage, symmetry, etc.). If it's decided that it is a match and is eligible, both retailers will honor the lower price for 48 hours. 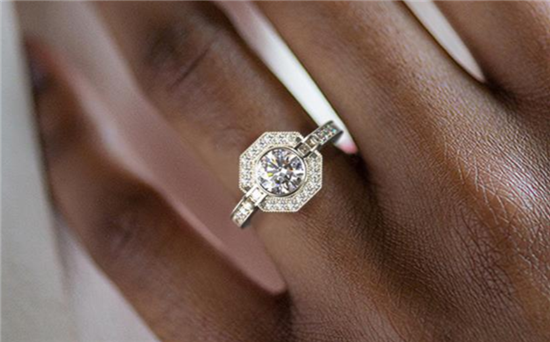 In the fine jewelry department, Blue Nile has the slight edge. It makes fine jewelry more available to the masses. It offers many pieces under $100 with free shipping and gift packaging. Tip: Do you find that you still need help money-wise with a ring purchase? In that case, financing a ring could be a good idea, as long as you're smart about it. Learn about the different financing options you have and what to watch out for. Both James Allen and Blue Nile offer 24/7 customer service by phone, email, and live chat. Both have certified, on-site diamond experts available to answer any questions or help you make a decision. James Allen has the slight edge because of their Real Time Diamond Consultation service. You can share a screen with an expert and go through diamonds together. You can look at diamonds in super zoom and review the specs and grading report. An expert can walk you through what you're looking at. Both companies offer great policies for peace of mind. Returns. Both offer a generous 30-day return period. You can return your ring or jewelry for a full refund or exchange if you're not happy with the purchase — no questions asked. Both offer free shipping on returns. Resizing. If you ordered the wrong size, both offer one complimentary resizing within the first year. Warranty. Both offer a lifetime warranty. 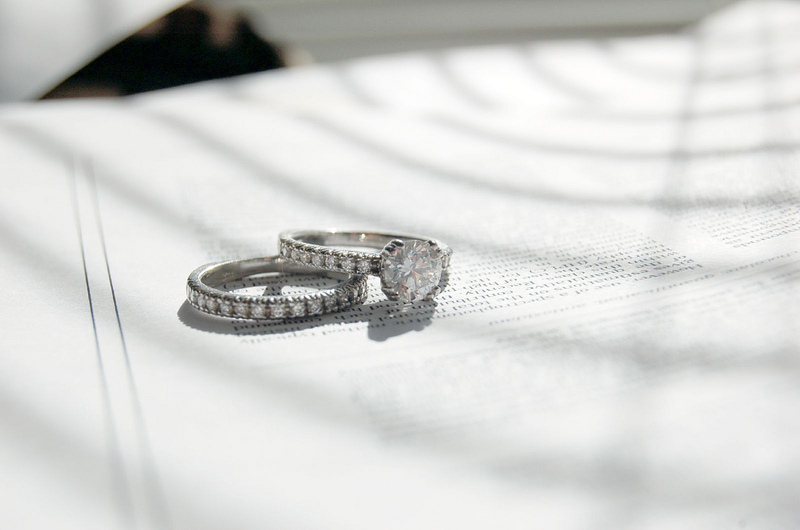 Blue Nile's warranty covers manufacturer defects and complimentary cleaning of diamond rings. James Allen's warranty covers cleaning, polishing, prong tightening, and rhodium plating for maintaining white gold. Upgrade. Both offer a lifetime diamond upgrade policy. You can exchange your diamond for 100% of the original price, provided that the new diamond is at least twice the price of the original. Now that Blue Nile introduced the 360 diamond preview, the two sites are extremely comparable. You can buy with confidence from either site. And their prices are very competitive. However, we'd have to say that James Allen still has the slightest edge for us. The fact that you can request up to 3 Idealscope images for free will give you even more confidence when making a decision. And we love the free Real Time Diamond Consultation service. 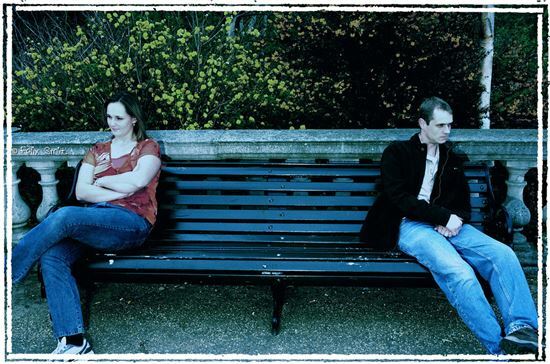 Share on Facebook "James Allen vs Blue Nile: Which Is Better?"